Family is and always has been an important part of Honeyville Grain. Our founder, Lowell Sherratt, always felt that people made the difference. This is what led to his philosophy and life motto of treating people the way that he would like to be treated and looking for ways to serve others. It's a philosophy and idea that has been a part of Honeyville Grain since 1951. That same philosophy led us to an extraordinary Salt Lake City family, the Greens. On the outside looking in, you'd never know of the struggles this wonderful family has. Their smiling, happy faces are the first thing you see when you meet them. And there are a lot of those smiling faces that greet you! 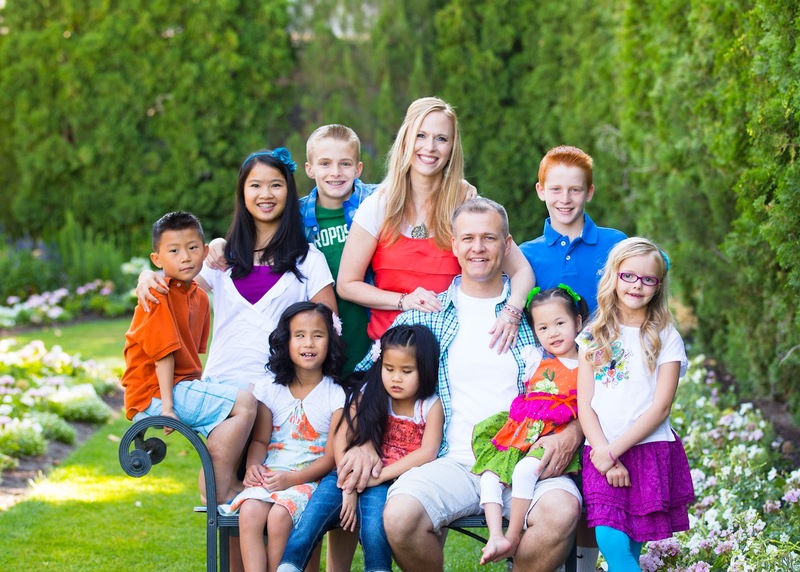 You see, the Green family consists of 9 children, three that are biological and six special-needs children that the Greens have adopted from China. Though the Greens are faced with challenges everyday, they somehow manage to keep a smile on their faces and help not only their amazing children, but serve in their community and church on a regular basis. With all the love and support that they have and show to others, the Greens still have one major obstacle they need to overcome. Their home. You see, the Greens currently live in a home that is not accommodating to the special needs of their children. A lack of wheel chair accessibility and other needed functions have made life difficult for the young adopted children. Close friends and neighbors noticed the difficulties this family was having and started Puzzle Them Home, a charitable organization that is raising money to help the Green Family build a new home that will be more accommodating to the needs of their very special children. When Honeyville Grain heard about the Green Family, we knew that we had to help. But we also knew that we wouldn't be able to do it without our great customers. With this in mind, we're asking for your help! On January 11th 12th we will be holding a fundraising event for the Green Family at our Salt Lake City store location. A portion of all our sales from the two days will go directly to the Puzzle Them Home organization, with those funds going directly towards the building of a new home for the Green Family. To make this possible, we need all of your help. Our goal is to raise $3000 for the family and organization. We're encouraging our great customers to buy their food storage and emergency supply needs that day from the Salt Lake City store and help this great family. Puzzle Them Home will also have a table set up in the store that day to collect any additional contributions anyone would like to make. We'll also have classes, food samples, giveaways, and plenty more for those wishing to attend. The Green family themselves may even stop by for a visit. To learn more about this event, stay tuned to our Honeyville Facebook page, or visit the Puzzle Them Home webpage for yourself. If you'd like to make a donation but don't live in the Salt Lake City area, you can do so at the Puzzle Me Home Donation page. Help Honeyville Grain give back to this great family. Together, we can make a bigger difference in the lives of these amazing children.